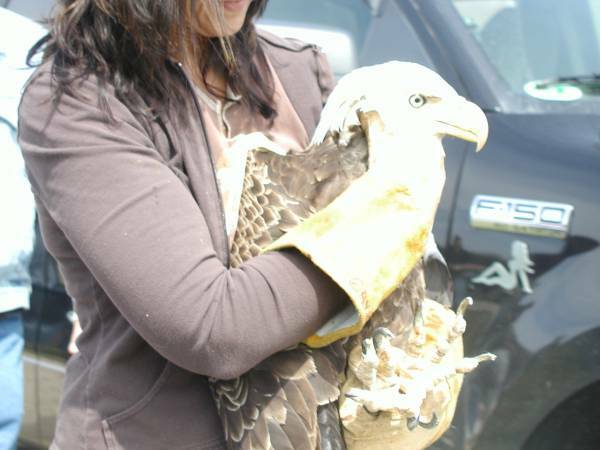 Getting ready to release A rehabilitated American Bald Eagle. I rescued this guy. He was so dehydrated, he couldn't open his eyes.